There have been several responses to the Kelo verdict, of which this is my favorite. Here is mine. Last summer, the county commission of Forsyth County, Georgia -- which is, in my long experience, just as corrupt a body of public officials as you are likely to find outside of a major city with a well-established political machine -- decided to exercise this same formal power to lay claim to a portion of my boyhood home. This is forested country, down by a pretty little creek named Settendown, which is named after a Cherokee chief. The government decided to take the section by the creek and bulldoze it, in order to lay a large sewer pipe. Why did they need a large sewer pipe? Well, in order to ease the development of a massive subdivision down the way. It happens that "a few" of the commission members are land developers; and if you add in the ones who have "friends" and family who are land developers, well, you get the idea. Anyway, this was one step from Kelo: they weren't actually bulldozing my family's house to put up a subdivision, just bulldozing part of my family's land in order to put in a sewer pipe so that the subdivision could be built. The part I always liked best; the part where I spent my boyhood with my dogs, where I learned to shoot, and where I spent many hours sitting and watching the water flow by. The locals tried to fight it, going to the commission meetings, pointing out irrelevant details that ultimately had no bearing at all on the decision ("You know, we're the ones who elected you people, not these developers," for example). In the end, the county issued a decision which was described to me as this: take the money under eminent domain without filing a suit, or else we'll just condemn the land, bulldoze it anyway, and pay you nothing. So the bulldozers came, and plowed it under. My father's response to all this was to videotape it and send me a copy. He did this based on his understanding that his-grandson-my-son would enjoy watching the tractors and bulldozers at work. This was, of course, perfectly true. My own reaction to watching it done was rather different. See, there you go. 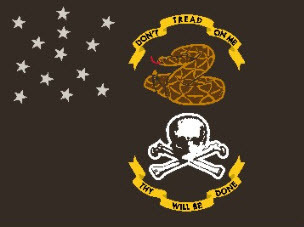 One minute I'm a man who's spent his life in the service of the Republic, and the government that is meant to watch over it. I'm probably more law-abiding than most, at least since I became a father; I even obey speed limits to the letter. But then, one second later, I'm seriously considering setting aside the laws once and for all, and putting things right in despite of the government. And they weren't even bulldozing the house. Just a corner of the property. Local governments are corrupt. They've just been handed a tool to line their pockets, and to batter their constituents into submission. The only threat at all, the one at which the commissioners laughed -- "I'll vote against you next time" -- even that is now lost. You think you'll vote me out? I'll bulldoze your house, put up a nonresidential zone instead, and you won't even be eligible to vote in the election. Thanks for your land, though. Here's a "fair" price for it. Take it, or else. Here's my pledge: for the good of the public order, I will never -- should I be asked to serve on a jury dealing with such a case -- vote to convict any man for any lawbreaking done to protect his property against predations of this sort. I suggest you each resolve the same. Whether he puts sugar in the gas tanks of the bulldozer, "trespasses" on his property, or shoots some mayor or developer, the worst he'll face from me is a mistrial. He'll walk, if I have anything to say about it. As far as I'm concerned, it's justified. He's just doing what he has to do to protect one of the cornerstones of our civilization against a governing class that has decided to override it. Has decided to try, I should say. Molon labe. 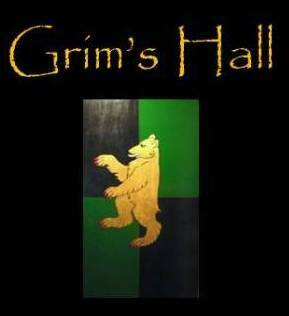 Grim's Hall, virtual, is remaining put, but Grim's Hall, physical, is undergoing its pretty-much-annual move. And what a move it's been. (a) discovered that I've lost $400 buying an internet system that, once installed, proved to be useless because of its (undocumented) inability to access secure sites -- kind of a necessity for someone like me. I'll therefore be back to using dial up, as that's the only other option where we will be. (b) got stung by a swarm of wasps while trying to install the useless internet system, so that my arm has swollen up to look rather like Popeye's. (e) until I can get the dial up account working at the new place, I'll be sitting on the floor in an empty room doing my work. And, of course, I still have to move the furniture tomorrow. Without a moving van. Hm. I was supposed to be spending the evening with my wife and Sovay: dear Sovay had gotten tickets to Serenity, a sneak preview down in Norfolk. I've been looking forward to it for a month. Instead, I spent the evening and night lashing furniture to my vehicles at improbable angles, then unloading it into storage units as the new house -- I think I failed to mention this -- turns out to have been used by the previous tenet, in direct violation of the lease, as a shelter for fully twelve stray cats. Until the carpets and pads are replaced, therefore, I don't actually have a place for my furniture there, either. Poor Sovay. She went out of her way to do something nice for me, and I let her down. And she didn't even get the fun of laughing at the sight of me, arm swollen to the size of a grapefruit, trying to load a heavy old walnut desk on top of a Chevy. Froggy's got a little one. Go have a peek. But not all the way down, thank goodness. Chuck AKA TCOverride has had a too-close encounter with an IED. You might drop by and give his family a kind word -- his wife is watching the blog while he's in the hospital. Mudville, BlackFive, Smash, and The Gun Line all have posts, as does Kim du Toit and doubtless many others. The last few days, as mentioned, I've had my father up to visit. He left yesterday morning after breakfast, but not before telling me a story I hadn't heard before. It dates to the Forsyth County, Georgia of my youth: back when the local volunteer Fire Department, of which my father was a member, was still getting started. In those days, Forsyth County was entirely rural. In the southern and eastern parts, it was cattle country, with green and rolling pastures being the main feature of the land. In the northwestern part of the county, it was timberland, and forestry was the main industry. A modestly large county, nevertheless there were often only two deputy sheriffs on duty at any shift. There was no other law, and not much need for any, but on the rare occasion that anything bad happened -- whether a fire or a car wreck or whatever -- they called out the volunteer Firemen to lend some extra, uniformed hands. So this one day, just about six miles from my own childhood house, a couple of fifth grade kids were returning from their afternoon's sport: shooting their .22 rifles. It was probably target shooting rather than squirrel hunting, but either was a common passtime. They came out of the backcountry and onto their red-dirt road, and started walking home. Passing a neighbor's house, they saw a couple of men they didn't recognize taking things out of it and loading it into a strange car. The two boys -- fifth graders, now -- yelled at the strangers to demand an answer as to why they were taking their neighbors' stuff. One of the men pulled a gun, and shot at them. Well, he missed. They didn't, returning the fire with their rifles and getting him through the stomach. He and his friend panicked, but found themselves cut off from their car by the fusilade. One of the boys ran down a powerline cut to get to a bigger road, to flag help. The other tried to keep the strangers pinned. The two strangers managed to break into a truck that was at the house they were robbing, and they went barreling down the road. However, the kid who went for help found some, and soon the Volunteer Fire Department had cut off all the local roads. By the time the deputy got there, Volunteers were standing in the middle of the roads with shotguns. Nobody had to go get one -- they were in the truck gun rack, in case they were needed. After the two men drove off in the stolen truck, meanwhile, the other kid went home and informed his family of the robbery. They, along with their other neighbors, got into their trucks and went hunting. They recognized the stolen truck easily -- it belonged to their neighbor, after all -- and ran it off the road. The wounded man gave in at once, but the other one tried to escape into the woods. They chased him down and beat him with sticks until he surrendered. Eventually, word of this got back to the deputy, who headed over to collect the prisoners. He, poor fellow, missed all the excitement but still got to write the report. I'm told that was the last robbery in that end of the county for quite a little while. For those newly on-board, we’re using MCDP 1-3 Tactics (.pdf file) and the previous post can be found in this archive. The intent is not to exhaust each chapter here… but for the individual to read each chapter, hopefully have my post provide a bit more insight into matters, and to definitely utilize the comments section for questions/answers on the various sidebar issues that will pop-up. The first few pages illustrate the Marine adoption of a flexible, imaginative, and effective war-fighting approach called maneuver warfare. This is contrasted to the incrementalist view-point best understood throughout WWI trench-warfare or attrition warfare. Really, American’s should have learned our lessons prior to WWI back in the 1860’s as some of the battles fought in the War Between the States showed rudimentary examples of maneuver warfare. Notably the mobility demonstrated by General Stonewall Jackson… but as the organizational structure of the commands became larger; they adopted an attrition style modeled on the Napoleonic Wars of half a century earlier. The battlefield geometry created by a Blitzkrieg can be used to explain what I’m talking about. Simplistically, imagine on the opposing side that you have a static line of battle composed of a trench. You on the other hand have a line of battle, but you punch a column composed of tanks and infantry directly through the center of the enemy. Imagine that half of your column turns right, the other half left, and they flank the enemy from the rear. You’ve just completed a double-envelopment. Or, you’ve created two artificial (non-terrain dictated) salients which have ‘pocketed’ the enemy and allow you to eliminate them. The battlefront disappeared, and with it the illusion that there had ever been a battlefront. For this was no war of occupation, but a war of quick penetration and obliteration—Blitzkrieg, lightning war. Swift columns of tanks and armored trucks had plunged through Poland while bombs raining from the sky heralded their coming. They had sawed off communications, destroyed stores, scattered civilians, spread terror. Working sometimes 30 miles ahead of infantry and artillery, they had broken down the Polish defenses before they had time to organize. Then, while the infantry mopped up, they had moved on, to strike again far behind what had been called the front. During World War II, German studies of operations on the Eastern Front led to the conclusion that small and coordinated forces possessed more combat worth than large and uncoordinated forces. Hopefully, we can now understand that in today’s modern, fast-moving, battlefield, he who makes the most intelligent decision quickly will likely prevail. Major General Lucas failed to take the opportunity to quickly advance on Rome and cut-off the German’s in Southern Italy. For those interested, a semi-successful (Monty screwed the pooch) example can be seen in the Falaise Pocket in which the German Seventh Army was destroyed. Had General Lucas not waited seven days in order to build up his logistics, he likely would have placed the Germans in a similar situation. Hannibal made excellent use of his opponents attempt to crush his center; he had his strong left flank composed of cavalry smash the enemies right and envelop the enemy… this newly formed salient led to a pincer movement as Hannibal rolled up his flanks. Hopefully the previous pages have illustrated the importance behind achieving a decision and that making a decision is not always easy. What I thought important in this section is the concept that a battle must lead to a result beyond itself. 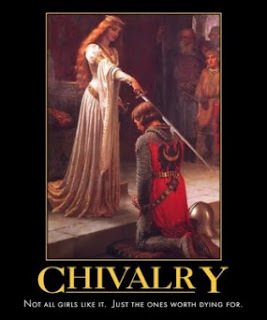 This again marks the marriage of Tactics and Strategy. “Military judgment is a developed skill that is honed by the wisdom gained through experience.” Training and experience cannot be stressed enough. The later sections ‘Understanding the Situation’, ‘Critical Vulnerabilities’, ‘Shaping the Operating Area’, ‘Main Effort’, ‘Boldness and Ruthlessness’, will be best understood by the laymen by reading the given text paragraphs. Many people believe that brilliant commanders pull the proverbial rabbit out of the hat regarding operational planning; indeed, many of the quotes from famous Generals discuss how reliance on dogmatic doctrine is a sure way to defeat. This is true to a certain extent… but what the arm-chair General fails to realize is that every brilliant commander was schooled in the basics. Much like poetry, where the emphasis is on inspiration and artistic license… there are many years learning the basics. Intuition only applies to Military Judgment because it appears to be that way to the uninitiated, what they fail to see are the years spent learning the basics which allow the brilliant mind to reach lightening fast decisions. I was astonished to be informed that Iraq The Model has taken note of a post I wrote over at the 4th Rail. I've had the honor of meeting these gentlemen. Their bravery in the face of the insurgency remains a tremendous inspiration. I've not forgotten the lesson I learned from meeting them, and I hope others will not forget their example either. I had a great gift for Father's Day: my father came to visit. He wanted to see his grandson, whose birthday, as it happens, is today -- as is my wedding anniversary. Some years, they all happen on the same day, as they did the year I was married. I told my father-in-law that my first Father's Day gift to him was taking his troublesome daughter off his hands. Or maybe he told me that. I think we both thought of the joke. This year, my own father trekked up here from Georgia, along with my mother. We went yesterday morning to the Warrenton Father's Day Auto Show, which is a neat little event. They close off main street, and park antique cars all up and down it. I meant to take pictures, but forgot to bring the camera. They had some good looking Galaxies, a number of Corvettes (parked in a row, so you could see the development), some 30's and 40's era Fords, plenty of 50's era Chevys, quite a few hot rods of various types, and one Vega -- a car that both my father and I found surprising to discover in a car show. It's interesting going to these things with my father, who grew up working in his father's auto shop in Knoxville. He would glance at a vehicle up the line and say, "Oh, look, a X Y Z," where (X) was the make, (Y) was the model, and (Z) was the year. He was never wrong, not even about the year. He could tell you about the particulars of the engines' construction, as well as amusing stories about famous cars of that type he had known in the past. It was a great way to spend the morning. We finished off with lunch at a trailer serving barbecue. It was labeled "Blue Ridge BBQ." "Do you reckon it'll be Virginia style barbecue," my father asked, "or Appalachian style?" For those who don't eat barbecue, or haven't traveled in the South much, the difference is mostly this: Virginia style sauce is vinegar based, whereas in the southern Appalachians, it's usually ketchup-based. Turns out the folks at Blue Ridge BBQ had decided to split the difference. They served pork, and let you add the sauce you wanted: either a ketchup based sauce, or the vinegar based sauce. It's not quite as good as having it cooked in, but it was pretty tasty. Naturally, I had the Appalachian style sauce. Well, that's how we spent Father's Day here. Now, if you'll excuse me, I have to go prepare gifts for the boy. Beowulf is three today.